Mug cakes are a fantastic solution to this problem. 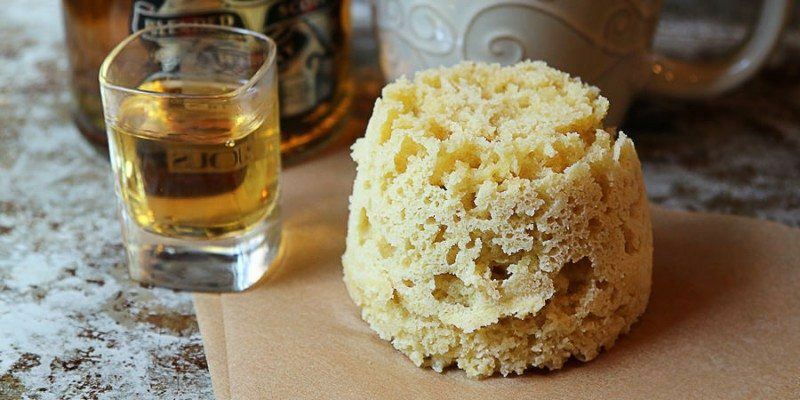 These are small homemade cakes that you make yourself in a mug in the microwave. They can be delicious treats, but they're also deceptively simple, often taking just a few minutes to make. They even come in just as many styles and flavors as regular cakes. 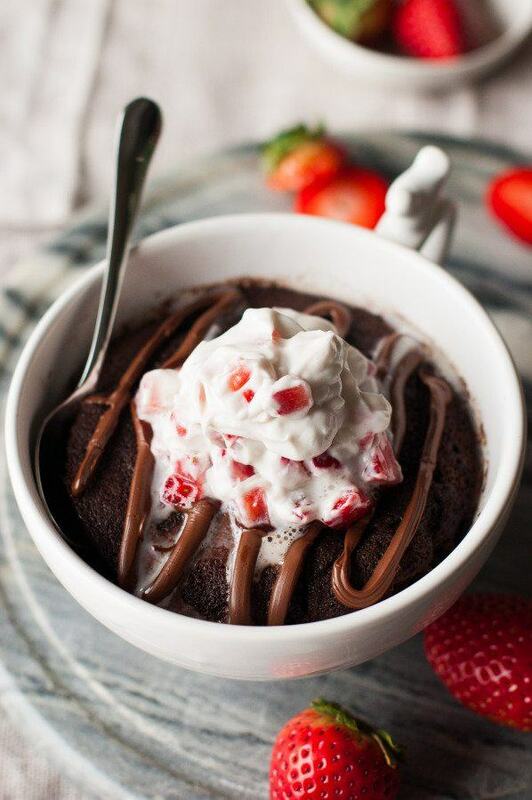 So, if you're looking for recipes or inspiration, check out these mug cakes from bloggers across the internet. 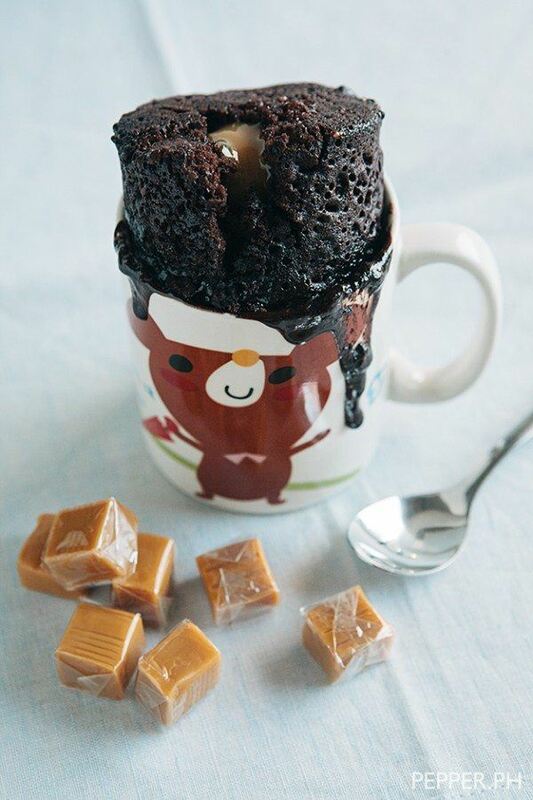 This mug cake from spaceshipsandlaserbeams.com is a great treat for a snack or for a party. 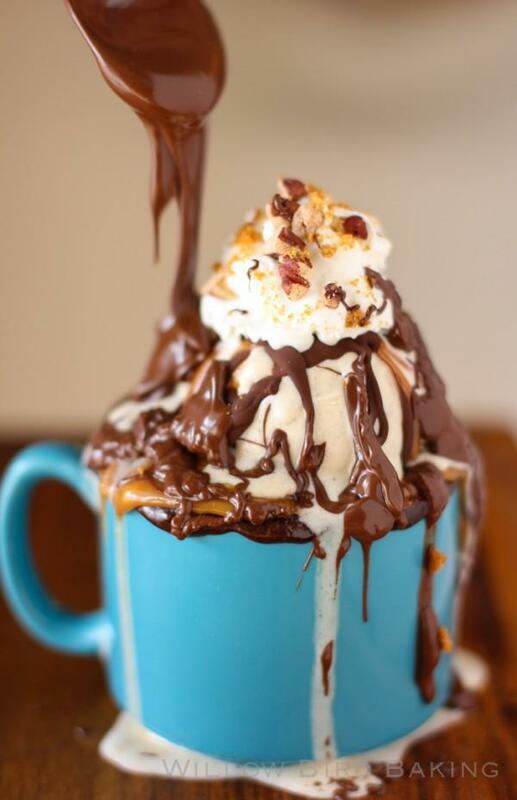 It combines the flavors of chocolate, caramel and Snickers delightfully, plus, Snickers bars even get to be part of the recipe. 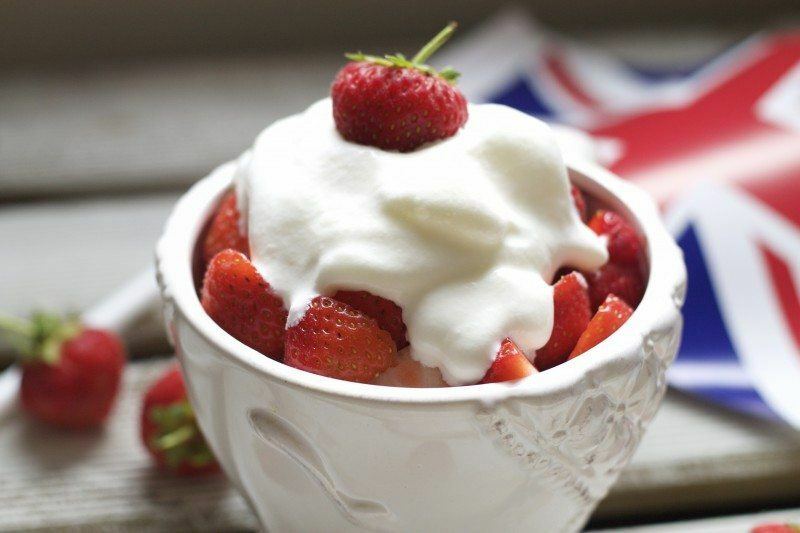 It's an easy dessert to make, and an easy one to eat too. Grain free cakes are great options for so many people, and they can be quite appetizing at the same time. 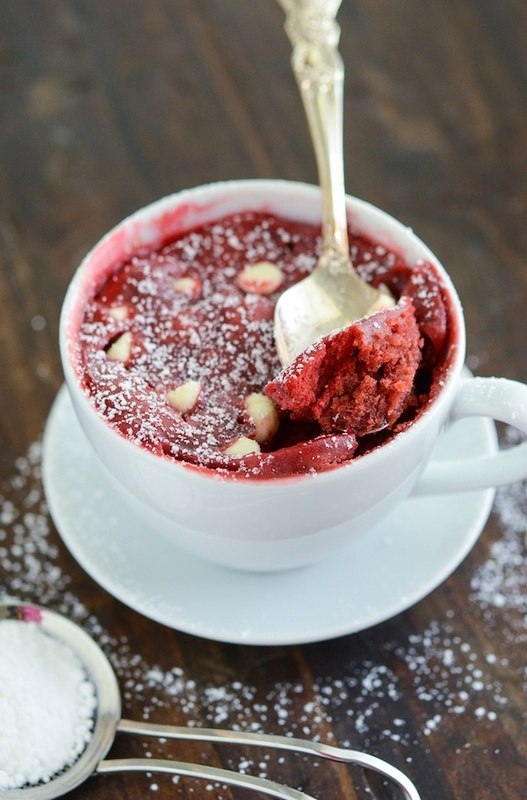 This particular recipe, from myheartbeets.com uses just five ingredients, which makes it a great basic introduction into mug cakes as well. I love the presentation for this cake, and the way it uses strawberries as well as the chocolate and Nutella. At thekitchenmccabe.com the recipe author points out another major advantage of mug cakes – they cook fast, which is great if you have impatient little people wanting to try. 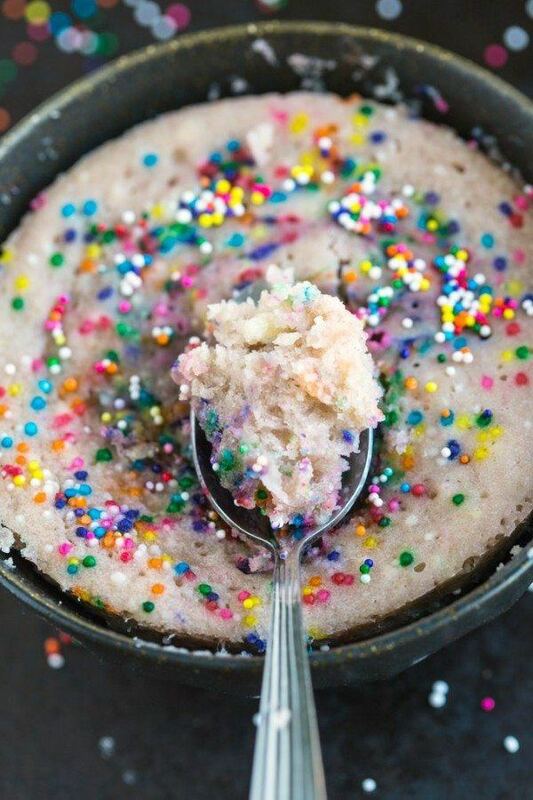 The recipe is a little more complex than other mug cakes, but the end result is certainly worthwhile. 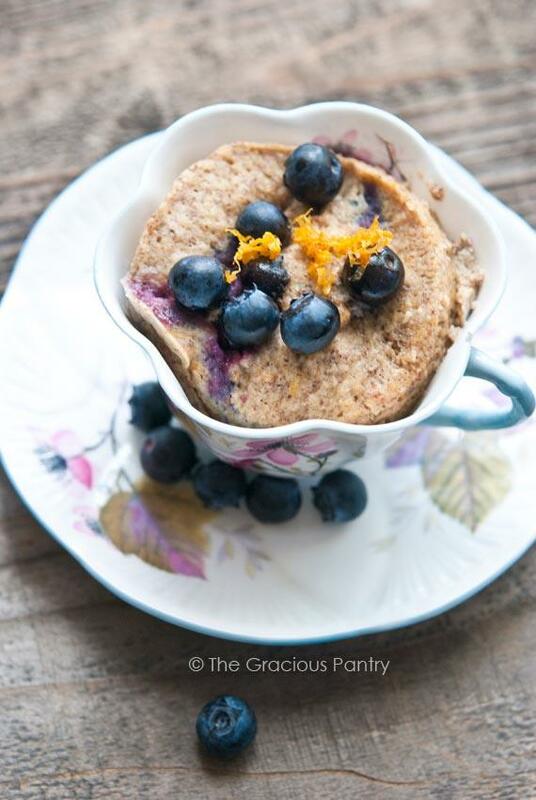 This mug cake from thegraciouspantry.com is a perfect example of how you turn a sweet treat into a (mostly) healthy snack. The recipe follows clean eating guidelines, so it contains more natural ingredients than you might find in other recipes. The combination of lemon and blueberries is also pretty neat, and makes for an appealing cake overall. 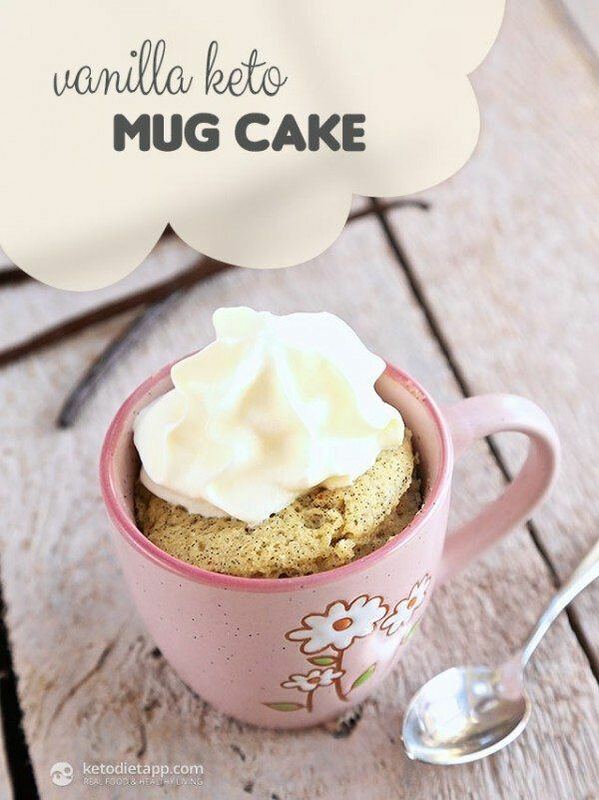 Unlike most other mug cakes, this cake from kumquatblog,com is designed to be eaten off a plate rather than from a cup. After all, it is an upside down cake. Don't let that fool you though, this cake still uses the same approaches as other mug cakes on this list, and even has the advantage of being entirely gluten free. This cake from eat-yourself-skinny.com is a good approach for people wanting to watch their waistline. The cake might not look as decadent as many of the others here, but at least you won't regret it later on. 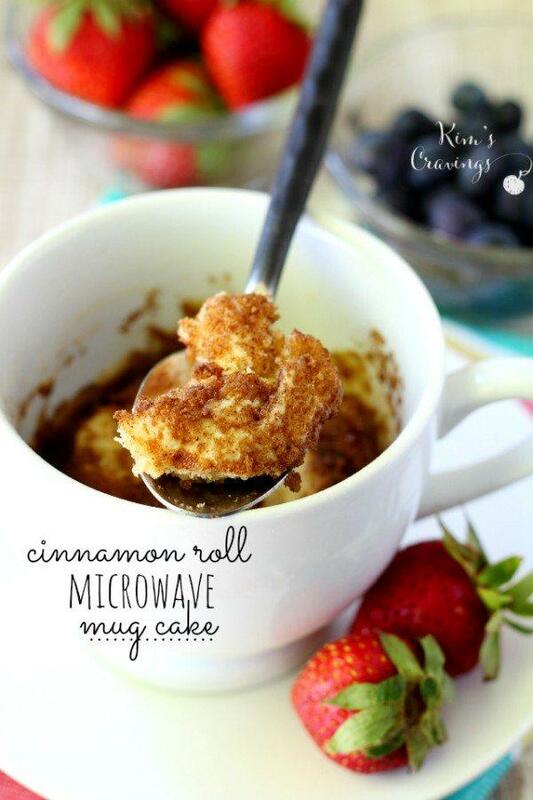 This mug cake comes in at least than 200 calories, so it's a great fall treat for anyone watching their weight. 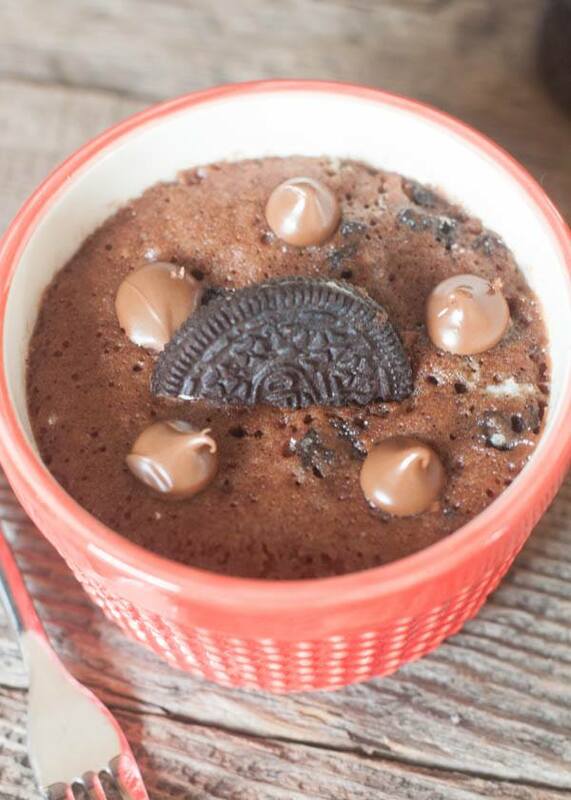 This Oreo mug cake from boysahoy.com is a great example of the different flavor combinations that you can get with mug cakes. 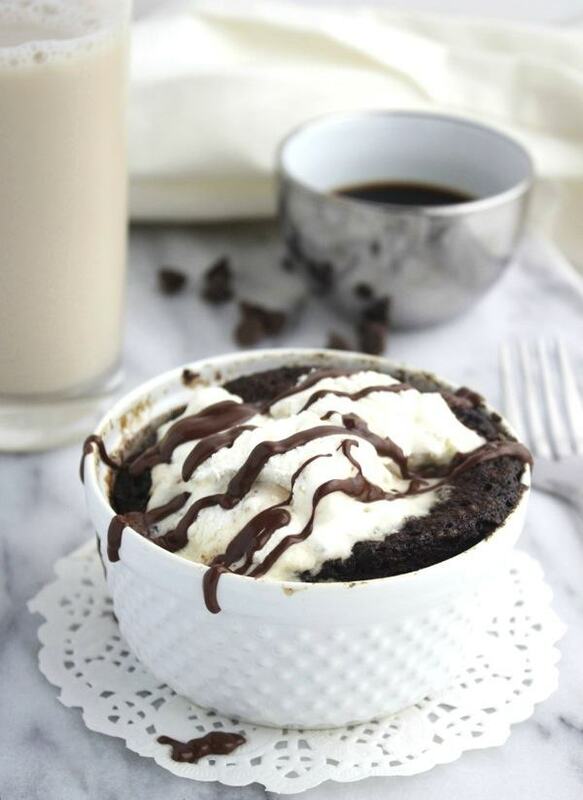 The recipe is actually a variation of a cookies and cream mug cake, but made with milk chocolate. 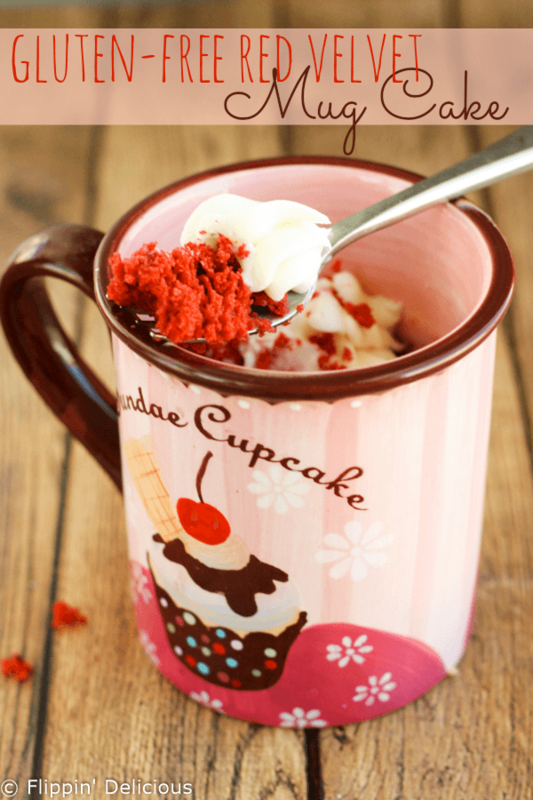 It's also a pretty simple recipe that uses common ingredients, so it's another good mug cake recipe to get started with. 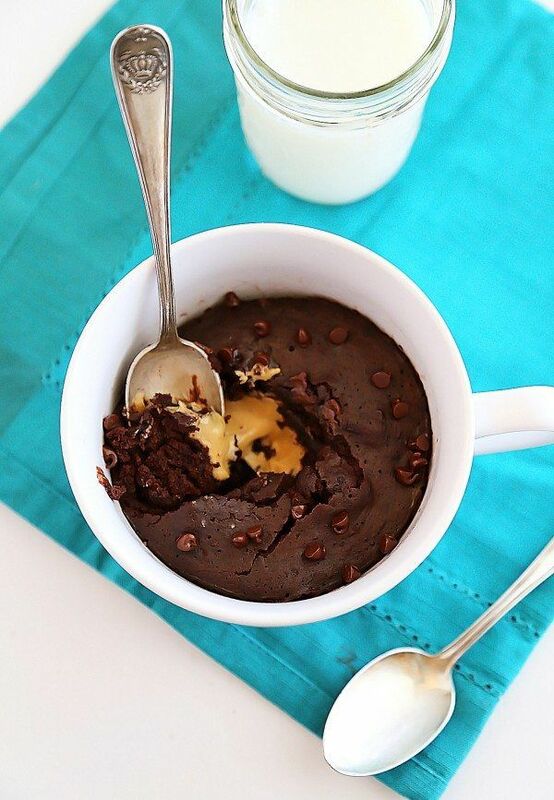 This mug cake is doesn't use eggs or butter, but it still ends up being a moist and appealing treat. This mocha cake is from priyaeasyntastyrecipies.blogspot.co.nz and it offers a fantastic flavor combination. 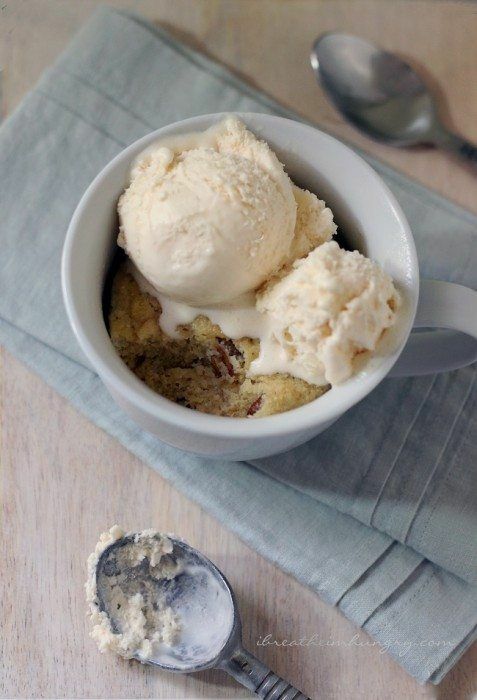 As the post for the recipe notes, you can also put ice cream on the mug cake (or any mug cake). That is a particularly good trick, because you end up with ice cream melting into the cake, which is nothing but yummy. With this cake from rhymeandribbons.com the emphasis is strongly on strawberries, which is great if you're looking for something that tastes fresh and full of life. The cake itself is fairly simple, although the recipe uses an oven rather than a microwave. 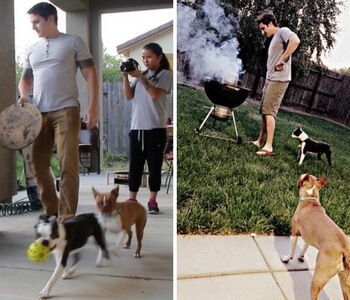 Even then, cooking only takes 15-20 minutes, and you could make multiple at once. 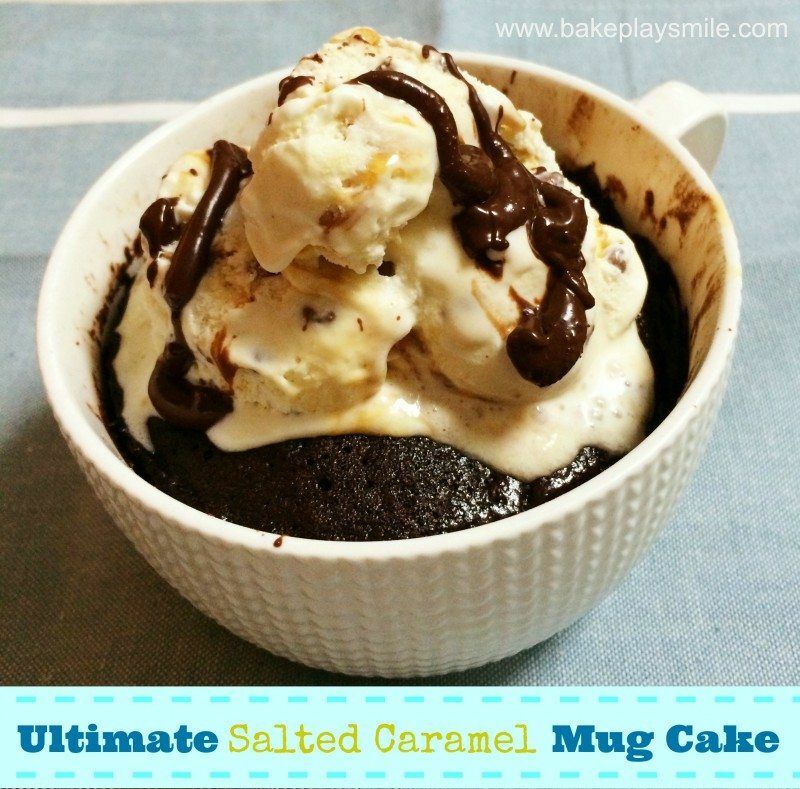 Lucy at bakeplaysmile.com is really taking advantage of the recent interest in salted caramel, and good for her. It's a flavor combination that can work well, as the saltiness stops the sweetness of the caramel from getting overbearing. Even without the topping, this cake looks heavenly, but of course it would be much better with the topping. This recipe from thenovicechef.com really nails the concept of a red velvet cake. I mean, doesn't it just look fantastic? The cake itself has a slight chocolate flavor with its own tang. Sounds like a winner overall, plus it really works well in a cup. 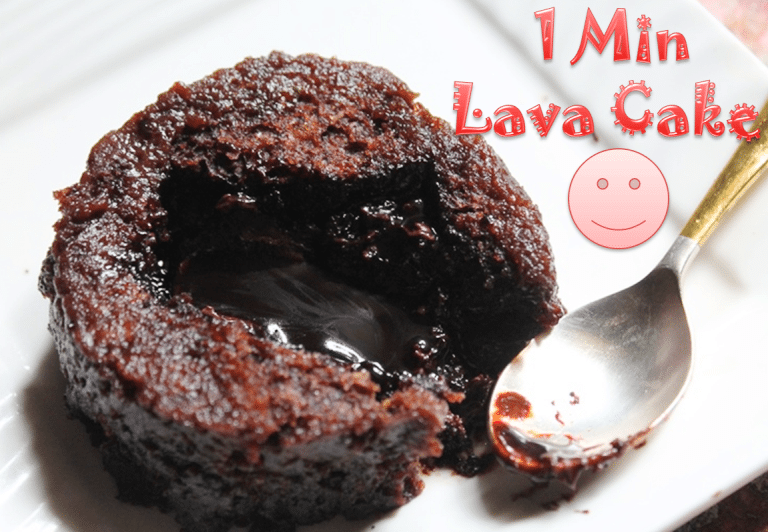 I'll admit that I'm a total sucker for lava cakes. They are amazing and far too decadent, which isn't necessarily a bad thing. 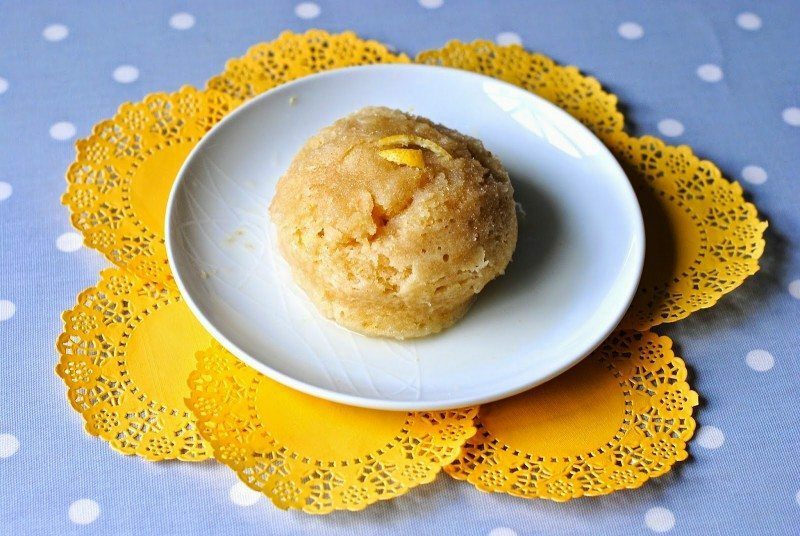 Having a simple microwave version is perfect and yummytummyaarthi.com gets it perfect with this recipe. This recipe is actually designed to be made in a ramekin bowl, but it would be perfect in a mug too, and you could eat it straight out of the mug. 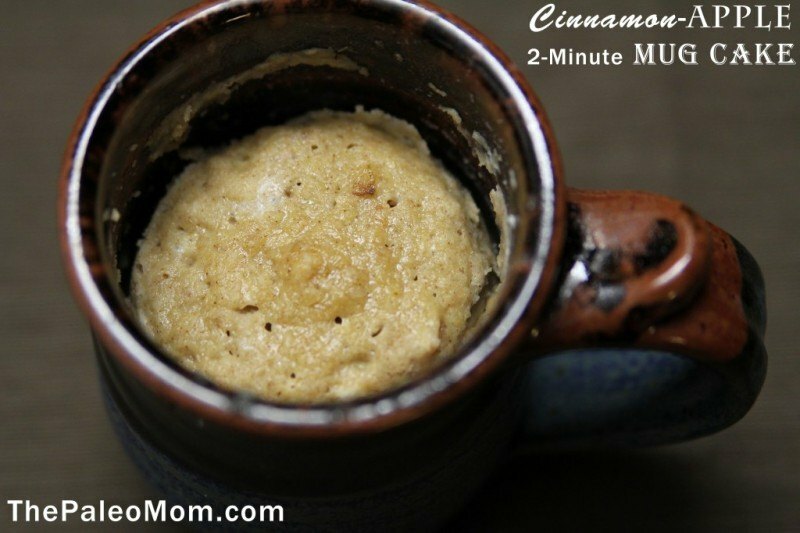 As the name thepaleomom.com might suggest, this mug cake has the advantage of using ingredients that can be eaten under the paleo diet. That makes this an extremely appealing dessert for anyone following that diet, but the cake would also be just as good for people who aren't on a specialized diet. I love the way this cake from thebigmansworld.com looks, and the sprinkles really make the cake stand out. This is another recipe that takes just a minute in the microwave, so it's a quick one if you are in a hurry. The site also offers a few different options for the recipe, including an oven and a microwave version, as well as a version that manages to be high protein, paleo and vegan – impressive. This snickerdoodle cake from fivehearthome.com is a perfect choice for a fall evening. 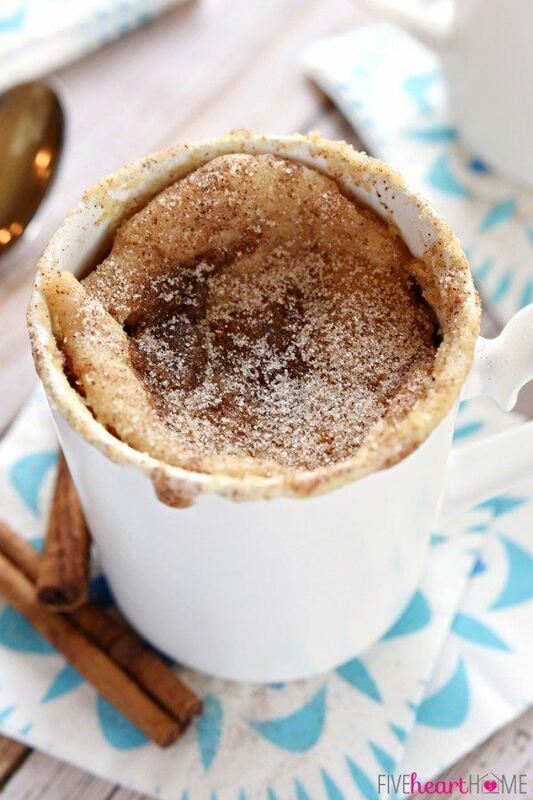 After all, it already has some of the fall flavors from its use of cinnamon and cinnamon sugar. 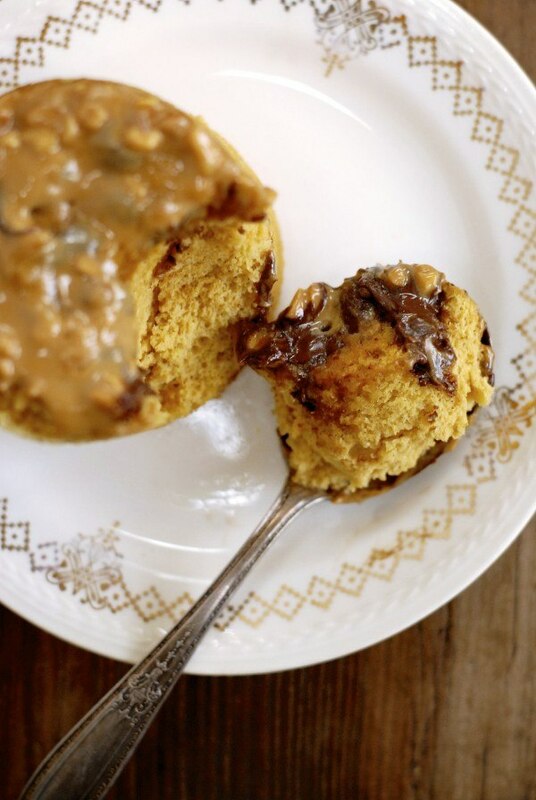 Like most mug cakes, it's also a fast dessert, taking just five minutes from beginning to end. One thing that I noticed with mug cakes is that there are so many different flavors. This cake from cakejunki.blogspot.co.nz is a great example of this, because it is a zesty lemon cake. The creator serves the cake on a plate, so you can eat it like a muffin – but you could also eat the cake straight out of the mug with a spoon. This particular choice of flavor is on the unusual side. It's a combination of coconut, white chocolate and pecans, which actually sounds about perfect. 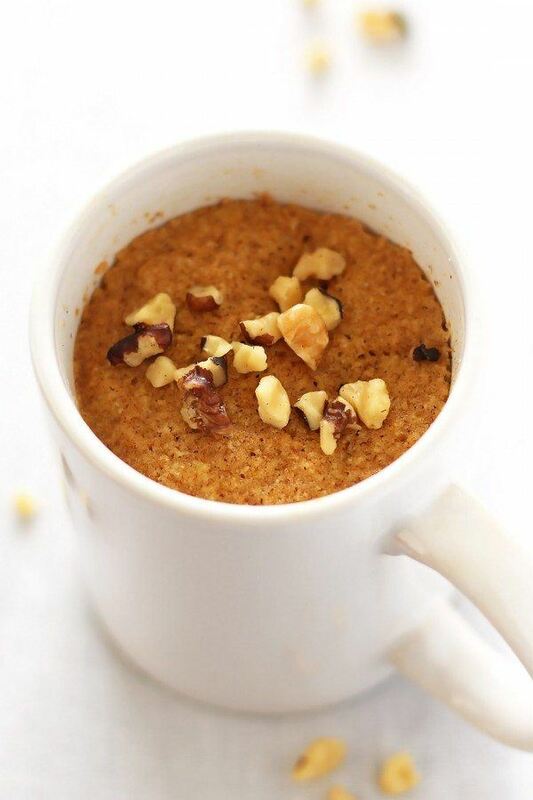 The recipe is from ibreathimhungry.com and it's another example of a gluten free mug cake. One of the great things about gluten free mug cakes is that they are so much simpler than most other types of gluten free baking, so they're hard to get wrong. Here's another paleo and gluten free cake and this one is also perfect for the season. It comes from lellalicious.com. This cake is another illustration of how you really can make great-tasting cakes in the microwave, even if you aren't much of a cake maker. 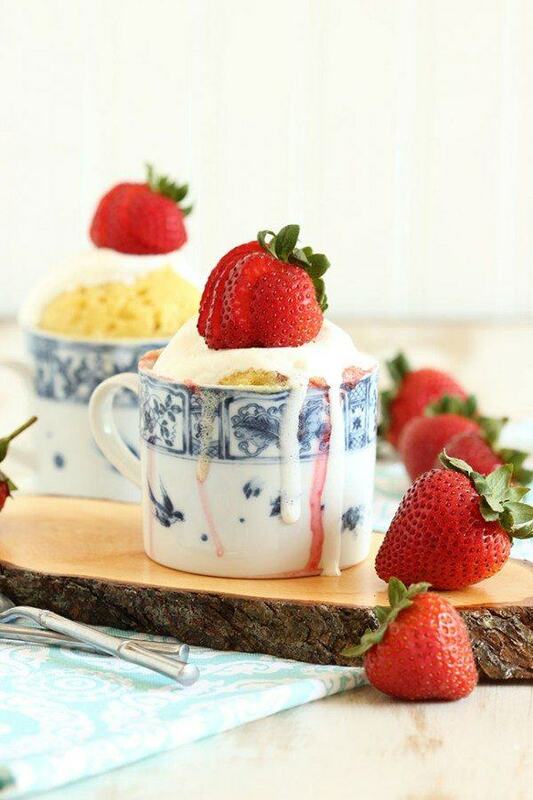 I know I mentioned another strawberries and cream mug cake earlier in this post, but this one was too good to ignore. It comes from thesuburbansoapbox.com. With this recipe, the author uses vanilla bean flakes, which is a clever way of infusing a bit of vanilla flavor into the mix. The recipe also makes enough for two cakes, which is perfect if you want to share… or if you have a really bad sweet tooth. The name for this recipe makes perfect sense, because the end result does look like a cinnamon roll. It is also a much simpler approach than actually making cinnamon rolls, but you get the same wonderful flavors. The full recipe is hosted at kimscravings.com and it looks too good not to check out. It shouldn't be surprising that mocha is such a common flavor. After all, coffee and chocolate really do go well together, especially if you happen to love one or both of the flavors. 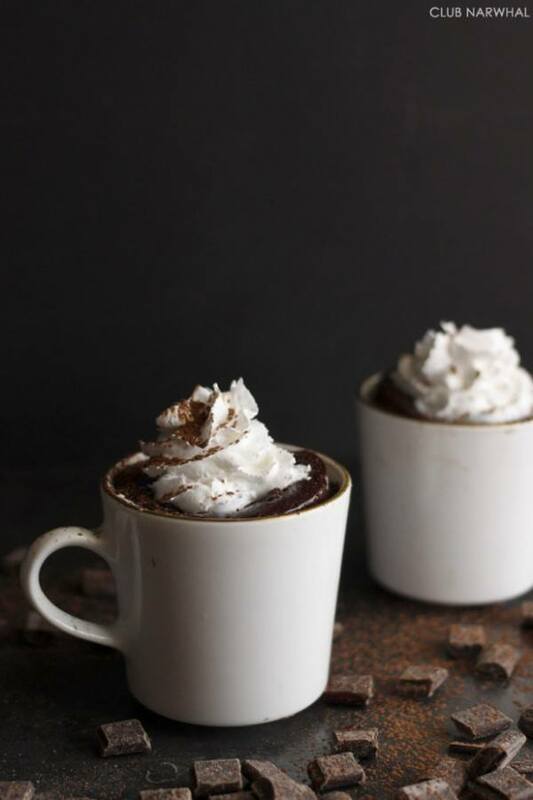 This recipe from thealmondeater.com is a great way to get your mocha fix, plus it's also paleo – although it probably doesn't taste like it. 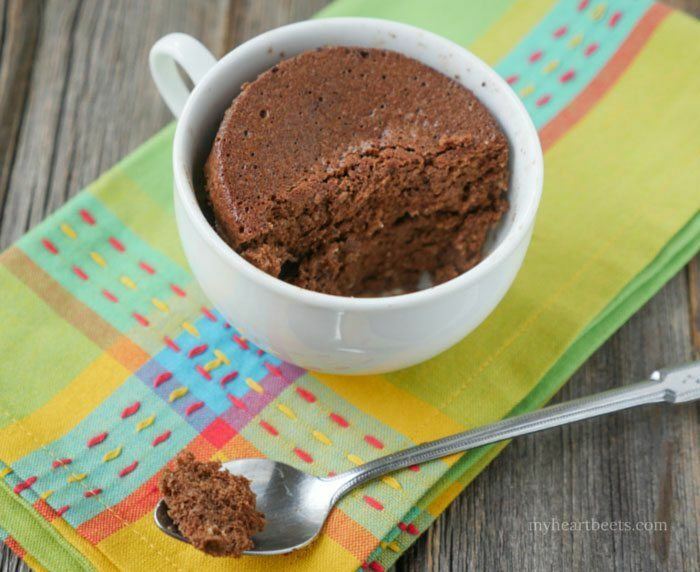 This mug cake is a little different, because it is designed for people following the ketogenic diet. Like other cakes on this list though, the cake is an appealing option even if you don't happen to be following the diet. The recipe itself comes from ketodietapp.com and there are even some variations on it if you don't like the original recipe. 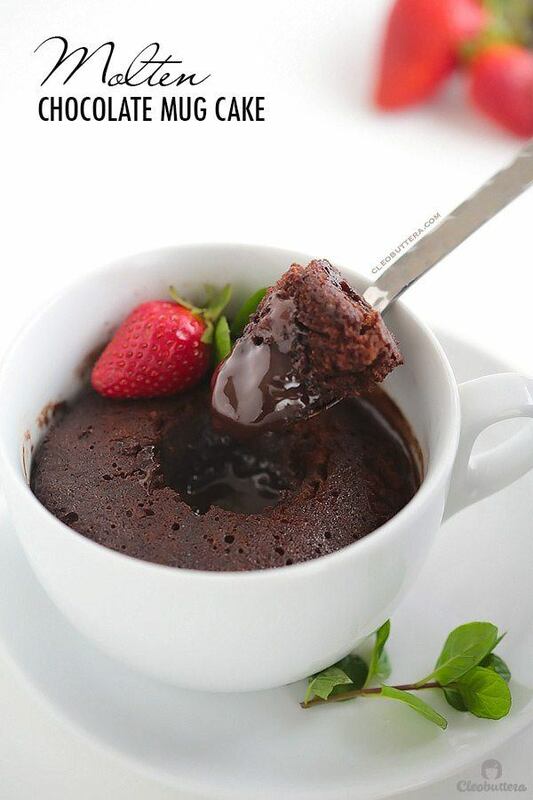 This mug cake from pepper.ph looks a bit different than most of our other entries, but that can be a good thing. It's actually another recipe that is pretty simple to make, which is great if you are just cooking for one. Personally, I love the way that the recipe uses caramel cubes, just because it makes life that much simpler. I love the filling that comes in this cake. It's a great approach for making something just that little bit special and it doesn't even make the recipe much more complicated. You can find all the directions over at thecomfortofcooking.com if you want to try this one out for yourself. As a side note, the end product really does look fantastic in a white mug if you plan on preparing it for company. The thing I like most about this cake is probably the combination of flavors. 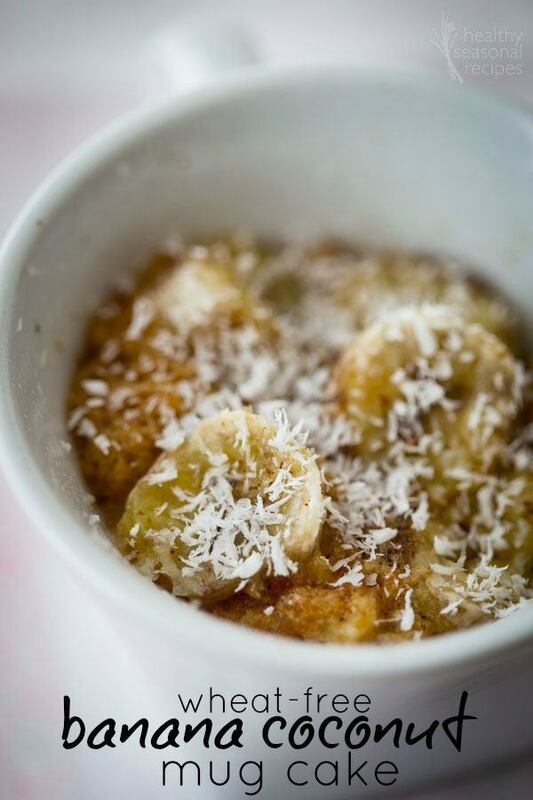 Banana and coconut aren't an especially common combination of flavors, but they really should be. This cake, from healthyseasonalrecipes.com also has the advantage of being vegan, which is relatively unusual for a cake. 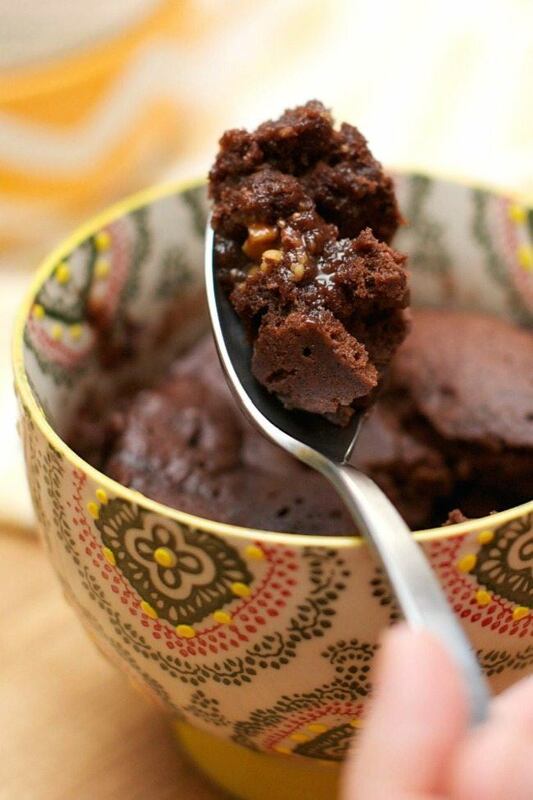 But, that's the great thing about mug cakes, so much versatility. 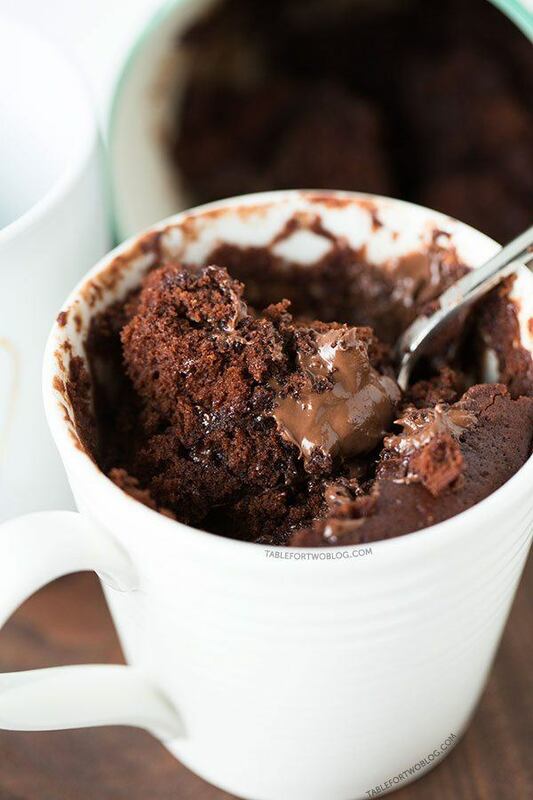 Okay… so it's another chocolate mocha mug cake, but you have to admit, this particular option really does look great. Amy from clubnarwhalblog.com really does have the knack for amazing presentation and I'm betting that these cakes taste as good as they look. Getting a cake (or a mug cake) that is moist is certainly the idea, but it can sometimes be a little bit hard to achieve. I like this recipe, because the author from tablefortwoblog.com is focused on making sure the cake ends up moist. A cake like this one is also one of the best ways to get your chocolate fix in and at least your serving size is limited right from the start. This cake looks absolutely amazing in the photograph, although in practice I think it would be a little difficult to eat if you put that many toppings on it. The recipe from willowbirdbaking.com does provide the information for both the cake itself and the toppings, so you can really make it as elaborate as you like. For people that find chocolate cakes a little rich, something like these blueberry white chocolate cakes might be more appealing. They come from girlversusdough.com and their recipe is actually a little bit surprising. If you want to know more about it, you'll have to head over there and check it out. Regardless, it is a recipe well worth trying. 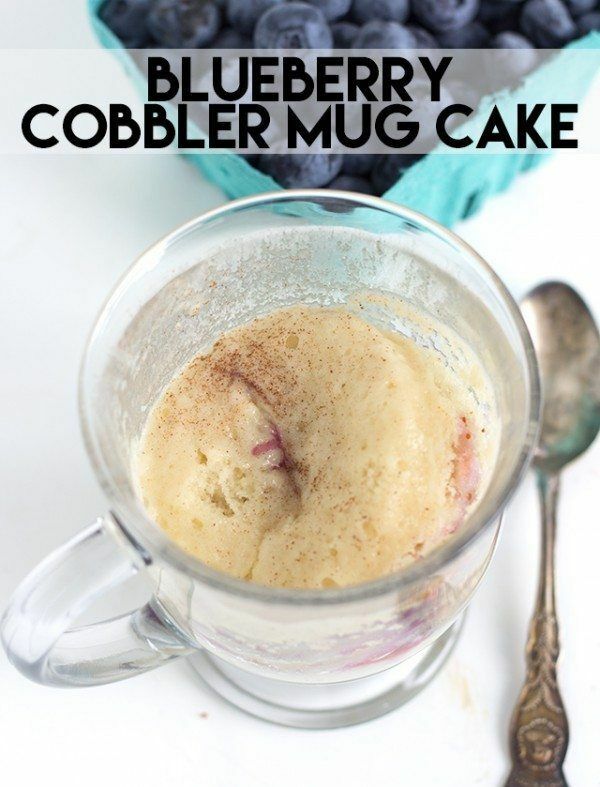 This cake from kirbiecravings.com is a lighter option for a mug cake. 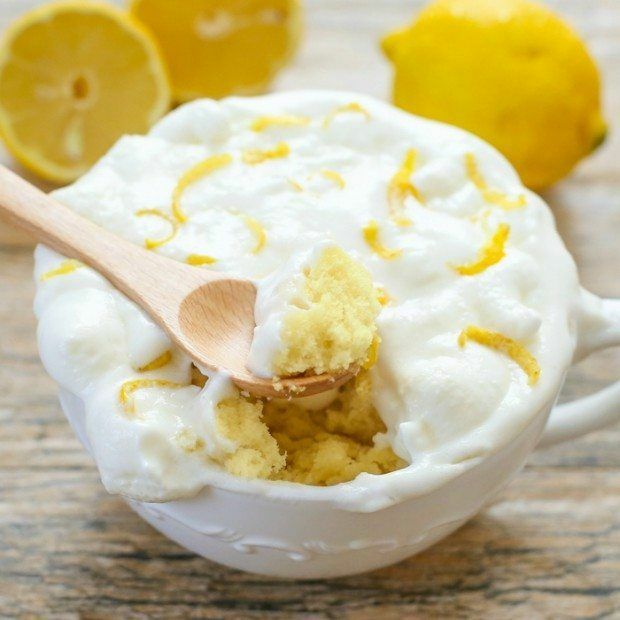 In general, lemon cakes to tend to offer an air of freshness that you don't really find elsewhere and I absolutely love the topping on this cake ant it's overall appearance. Of course, you could also skip the frosting if you felt like it. 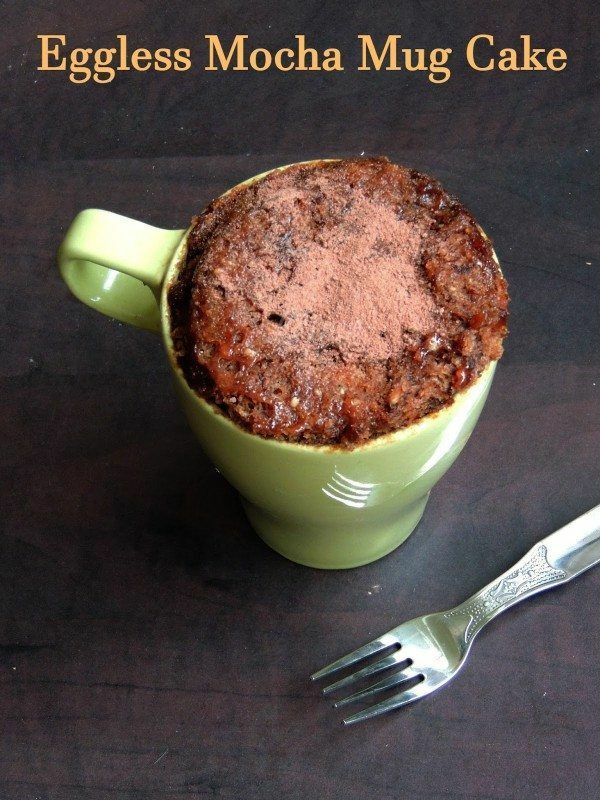 This mug cake recipe comes from flippindelicious.com, which seems like an appropriate site name really. 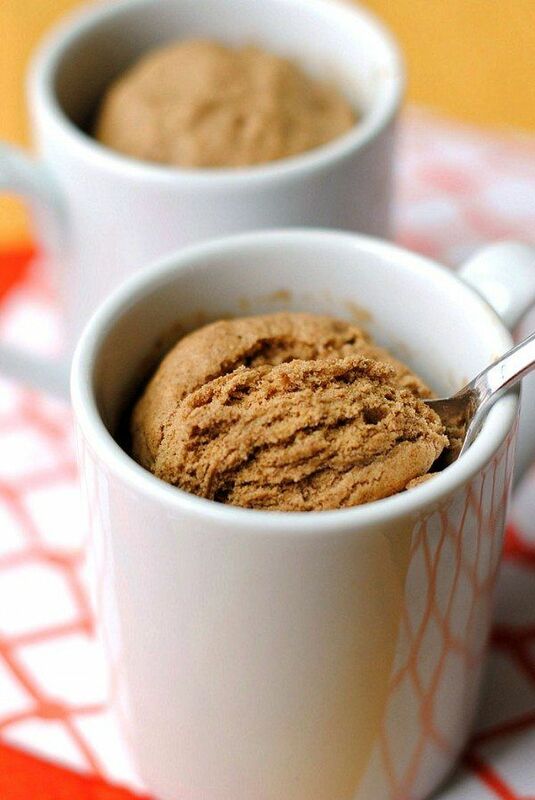 It's another gluten free mug cake, and it uses flavors of vanilla and cocoa to make the cake stand out a bit. There's even a recipe for cream cheese frosting to go along with it, although it's up to you whether you frost the cake or not. 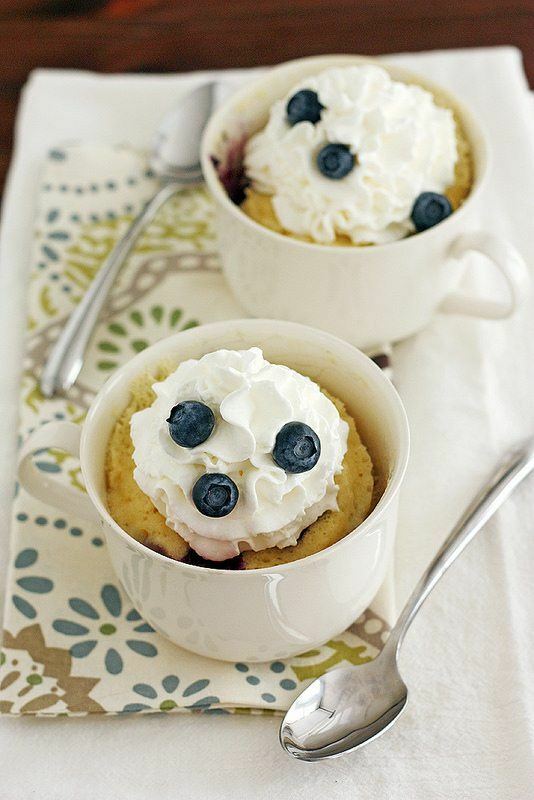 This mug cake comes from cookiedoughandovenmitt.com and the recipe does actually focus on the fruit, the cobbler and the topping, which makes it a bit different than most of the other recipes here. That does also make it a bit more complicated as recipes go, but it's certainly simpler than actually making an entire cake (or cobbler). This one is a late addition to the list, but I'm sure you will agree with me that it was simply too good to miss. This particular recipe is a great way to get a bit of alcohol into your dessert (which is always good) and the flavors do sound like they would go nicely together. The full recipe can be found at ruled.me and Craig also has links to some other pretty unique mug cakes on there. This recipe from cleobuttera.com does seem like a great place to finish off this list. The cake itself looks amazing, and the molten chocolate aspect pretty much guarantees that it will stay moist. Do check out the recipe on the site, because all of the images make it an absolute cinch to follow. 10 UNIQUE Asian Slow Cooker Recipes!